For our annual Adventure Travel issue, we scoured the globe to find the 25 Best New Trips in the World for 2010, complete with a Best Trips photo gallery. Today, we present Kenya. The world's far corners are now well within reach. Lion kills cow, Maasai warrior kills lion. It’s a centuries-old conflict in the Kenyan bush. But in the past ten years lion populations across Africa have plummeted from 100,000 to 23,000, transforming the issue into a full-fledged crisis. Alarmed research crews have come to Kenya to study the cats and teach the Maasai ways to live with them harmoniously. But one conservation group is way ahead of the curve. Kuku Group Ranch, a 280,000-acre spread in the Chyulu Hills of southern Kenya, is entirely owned and operated by the Maasai themselves. And so far they’ve had dramatic success with their cat-protection efforts: In a recent 30-month period, the ranch’s lion population jumped from 15 to 52. Now, in conjunction with Geographic Expeditions, Kuku will bring in its first guest-researchers. Click here to continue reading "Best New Trips in the World: Kenya"
Kenya’s wild lions could be annihilated within 20 years, according to the Kenya Wildlife Service. For almost a decade, the country has been losing 100 big cats a year, and the current population of 2,000 could be gone by 2030. Conservationists are blaming habitat destruction, animal disease, and conflict with humans for the rapid decline in numbers. Wildlife biologist and conservationist Laurence Frank told the New Scientist that the future is bleak. “Only drastic action on many fronts – policy change, effective law enforcement, giving rural people an economic stake in their natural heritage, and a great deal of investment – will prevent the loss of wildlife in Africa," he said. Read the full story in the New Scientist here. We reported last month that the entire population of tigers in the Panna Tiger Reserve in the central Indian state of Madhya Pradesh has been completely decimated by poachers. But now, the good guys have some points on the board. On August 13, the Wildlife Conservation Society announced two successful raids, and numerous arrests by Indonesian authorities, of suspects attempting to sell Sumatran tiger skins. 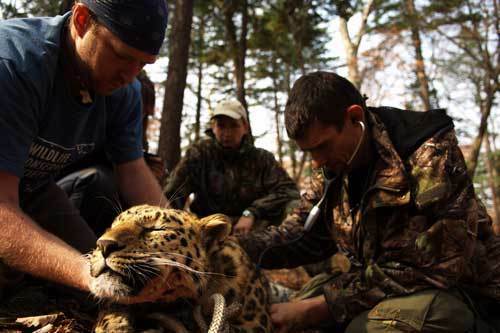 (ADVENTURE's Paul Kvinta investigated this despicable practice in June/July's "Cat Fight.") The raids occurred on July 16th and August 7th and resulted in the recovery of two complete tiger skins, as well as 33 pieces of tiger skin ranging in size from 33 centimeters to much larger. In total, Indonesian police arrested five wildlife traders associated with the poaching of the tigers. Wildlife: Is Tanzania’s Ngorongoro Crater About to Hit Bottom? Beyond Green Travel is a blog written by Global Travel Editor Costas Christ. Read more NGA travel news in First In. If Noah’s ark had off-loaded into a massive version of Yankee Stadium, the result would have looked a lot like the Ngorongoro Crater in Tanzania. The 102-square-mile caldera corrals great herds of zebras and gazelles and all of Africa’s Big Five. But recently, Tanzania’s chief tourist draw has started to buckle under the pressures of fame. Last week wildlife officials in the central Indian state of Madhya Pradesh finally confessed to something that they'd known for some time--Panna Tiger Reserve has been completely poached out of tigers. Panna is one of India's more notable and popular tiger refuges, and five years ago there were an estimate 35-40 cats there. Now there are zero. This meltdown is an exact replay of what happened in 2005 in Sariska Tiger Reserve in the neighboring state of Rajasthan, where poachers exterminated every cat right under the noses of wildlife officials, who proceeded to deny the catastrophe for months. And the same thing would have occurred in nearby Ranthambhore Tiger Reserve--India's most famous--were it not for the fearless efforts of Dharmendra Khandal and a cash-strapped NGO called Tiger Watch. When I was in Rajasthan last November to report "Cat Fight" (in the June/July issue of ADVENTURE), I spoke with Ragu Chunduwat, one of India's leading tiger experts. Chunduwat worked for years in Panna, and when he first reported evidence of poaching to officials in 2004, they harassed him and finally drove him out of the park. "It's obvious there are no tigers left at all," he said last fall, "but they're still not admitting it. Denying it doesn't allow you to move forward." Panna is already engaged in reintroducing tigers from other reserves, but if Sariska is any example, no one is getting their hopes up. Officials couldn't be bothered to do DNA checks on the three tigers moved to Sariska, only to find out later that the trio are all siblings, which means a genetic dead end. Look for this movie to replay itself over and over again in India. Last month federal officials acknowledged that the situation in up to 16 tiger reserves is "truly alarming." There are supposed to be 1,400 tigers left in India, more than any other country (there are only 3,000-plus left in the wild), but no one really believes that anymore. You can donate to Tiger Watch here. Zoologist Alan Rabinowitz did what many a congressman, senator, and presidential hopeful have failed to do before him: (almost) make Stephen Colbert cry. On Tuesday’s Colbert Report, the now graying action hero who has dedicated his life to big-cat conservation spoke about his new book, Life in the Valley of Death. The book discusses one of his most recent projects: creating a tiger refuge in Myanmar (read about it in an ADVENTURE profile of Rabinowitz). On the show, Rabinowitz told the story about how to he first became inspired to save animals—and not even Colbert could make fun of that one (see it for yourself in the video). Then on to Cobert's more pressing questions: Do dictators and communist countries have an advantage when it comes to conservation? Does this planet really need a cougar and a jaguar? And, when you die, do you want to be devoured by a big cat? Looks like Colbert’s Wildcat loyalties (he’s an alum of Northwestern University) have stayed with him.